Atlantic City, one of Philadelphia’s satellite cities, was once a very popular destination, perhaps the most popular in all of New Jersey. It had large hotels in olden days, and its famed boardwalk, the setting of the board game Monopoly, drew thousands to the seaside city. Gambling in Atlantic City was legalized in 1978, and the first casinos came up shortly thereafter. Sadly, in 2014, things took a turn for the worse. Four casinos, the Showboat, Atlantic Club, Trump Plaza, and the massive, billion dollar Revel, closed. A year later, the Trump Taj Mahal, perhaps AC’s flagship casino, succumbed as well. Here in 2018, things are now looking up for Atlantic City. The former Trump Taj Mahal was purchased by Hard Rock, which owns and operates several popular and successful resorts around the world. 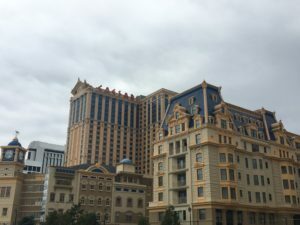 What separates Hard Rock from the other resorts in Atlantic City is that Hard Rock is focused on entertainment such as concerts and shows as opposed to gambling. It opened on June 28. It has a lengthy list of performances, including Carrie Underwood, Maroon 5, Pitbull, Kenny Loggins, and Florida Georgia Line. It will also host boxing, as Atlantic City did back in the day. The capacity of the arena inside was expanded to over 7,000, allowing for much larger crowds. The resort has 20 restaurants, including a Hard Rock Cafe, no surprise. 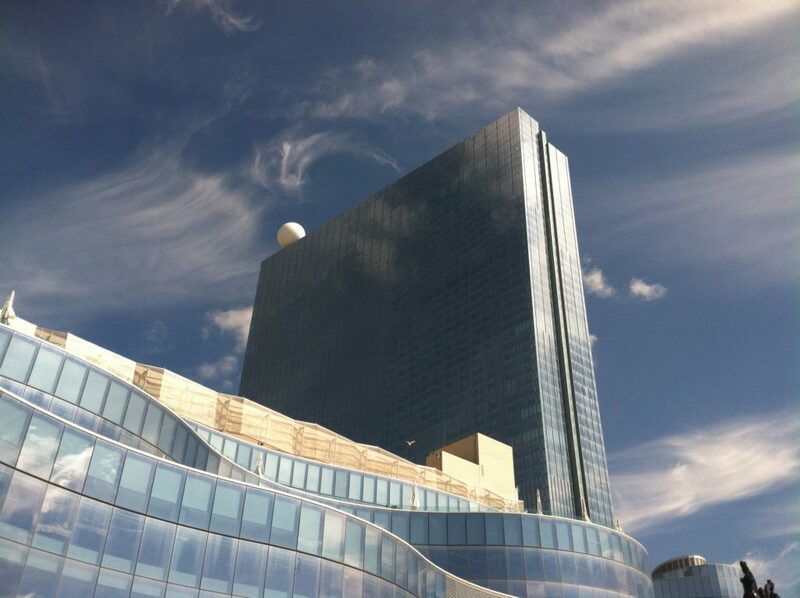 It has over 2,000 rooms, making it one of the largest hotels in Atlantic City. And like the Taj Mahal before it, it is be connected to Steel Pier, which has since completed a new 200-foot tall Ferris wheel. Hard Rock Atlantic City also has an array of fascinating memorabilia, including Elvis’ Rolls Royce, John Lennon’s handwritten copy of “Imagine,” Michael Jackson’s glove, and outfits worn by Bruce Springsteen, Carrie Underwood, Prince, and Beyonce. The former Revel Resort, which is the cities’ tallest building at 710 feet, reopened as the Ocean Resort Casino. The Revel was a fascinating place. It opened in 2012 at the cost of $1 billion, and closed after only 2 years of operation. The building is a masterpiece of modern architecture, but the facility itself was lacking. It was hard to navigate, hard to access the Boardwalk, and had issues with smokers. Ocean Resort owner Bruce Deifik has specifically worked around all these things, making Ocean Resort what Revel could have been. This is a good strategy; building upon what Revel failed at. It has a large concert hall known as Ovation Hall, a nightclub known as HQ2, and the Exhale spa, among other amenities. Stockton University will open a new campus in Atlantic City for its fall 2018 semester. Up to 500 students are expected to be living on campus this fall. Needless to say, it is good to have jobs unrelated to entertainment and gambling come to the city’s economy. At the moment, though, less is known about this project. And finally, the Supreme Court legalized sports betting nationwide in May 2018, making it legal for people to do so in Atlantic City. A ceremonial first bet was placed at the Borgata by 76ers legend Julius Erving (AKA Dr. J), in which he bet on the Philadelphia Eagles to repeat as Super Bowl Champions in 2019. While it may be legal at all casinos nationwide, it should definitely help Atlantic City, as it gives visitors another thing to do in the casinos.